Note: The lettered route designations are of an indicative nature only, they were never used as such. The official names of the routes are given in the second column in capitals. Streetcars: (horse-powered) 11 Sept. 1861 - 30 Aug. 1894; (electric) 15 Aug. 1892 - today. Subway: 30 Mar. 1954 - today. LRT (Scarborough Rapid Transit): 22 Mar. 1985 - today. Bromley, J.F. TTC '28: The electric railway services of the Toronto Transportation Commission in 1928. Toronto: Upper Canada Railway Society, 1968. 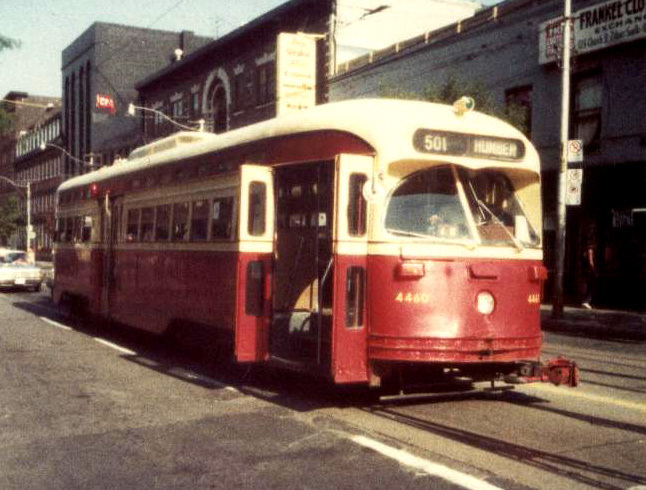 Filey, M. Not a one-horse town: 125 years of Toronto and its streetcars. Toronto: [Author], 1986. 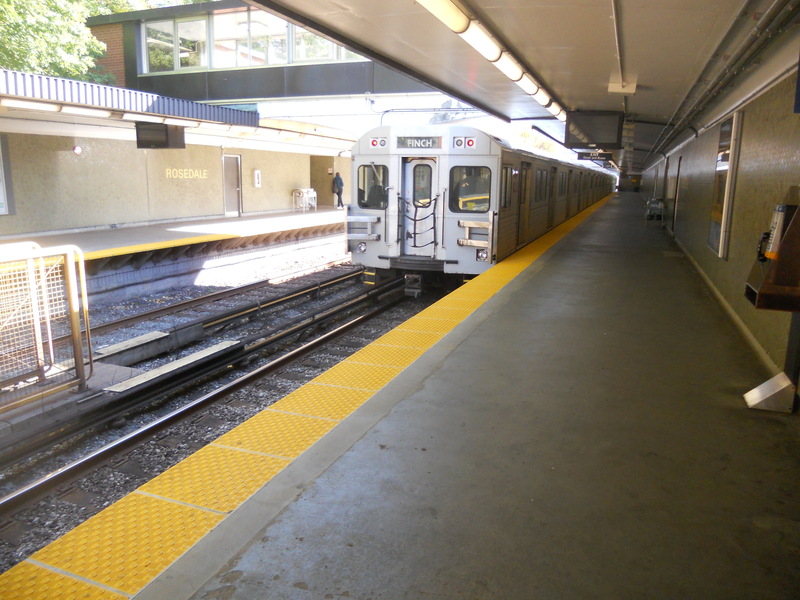 Filey, M. The TTC story: The first seventy-five years. Toronto/Oxford: Dundurn Press, 1996. Simons, V. "Toronto: Making the move", Tramways & Urban Transit, Oct. 2013 (76:910), p.420-426. Skelsey, G. "Toronto: The TTC's streetcars at 80 (Part 4)", Tramways & Urban Transit, Jan. 2001 (64:757), p.15-18. Taplin, M.R. Tramways of North America, including rapid transit.Hassocks (England): Light Rail Transit Association, 1982 (?). Wickson, E.A. "Toronto's new Light Rail Line". In: Light Rail Review 2. London: Light Rail Transit Association, 2000 [p.63-65].